Chadron Middle School picture day is on September 8th. We have contracted with Life Touch again this year and like in years past, you can order pictures online or with the packet that will be sent home with students on Wednesday, August 31st. 1. All students will have their picture taken even if you do not order pictures. This is so we can update our students' pictures on Infinite Campus. 2. Students will be asked to remove hats for pictures. This helps to make it easier to identify students on Infinite Campus. 3. Send packets and picture money with your child on picture day. Please send your student with exact change or a check as the school will not make change. Enter your Picture Day ID, which is unique to your school. Find it on your Picture Day flyer. You can also find it listed, along with your Picture Day date, on the Picture Day Finder. 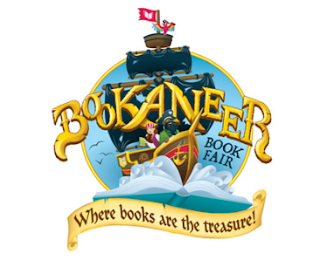 Our school book fair is open online NOW through September 23rd! Thank you to all of the families that attend the CMS Open House on 8/23. We had a great turnout and we hope that everyone had awesome conversations with their student's teachers. If you have any questions about classes, expectations, homework, or school in general, please don't hesitate to contact us. The school year is off to a great start and we hope to carry this momentum through the first quarter. The next scheduled parent-teacher conference (PTC) is on September 15th from 2:00-8:00 in the CMS gym. More details about PTCs will be posted after Labor Day. In the meantime, remember to keep up with your student's progress on Infinite Campus and on this blog page. Thank you again for making our Back to School Open House a huge success! CMS would like to thank the United Way, Chadrad, and everyone who helped gather school supplies for the 2016 'Stuff-The-Bus' campaign. Students will make great use of the backpacks and other school supplies that were donated. 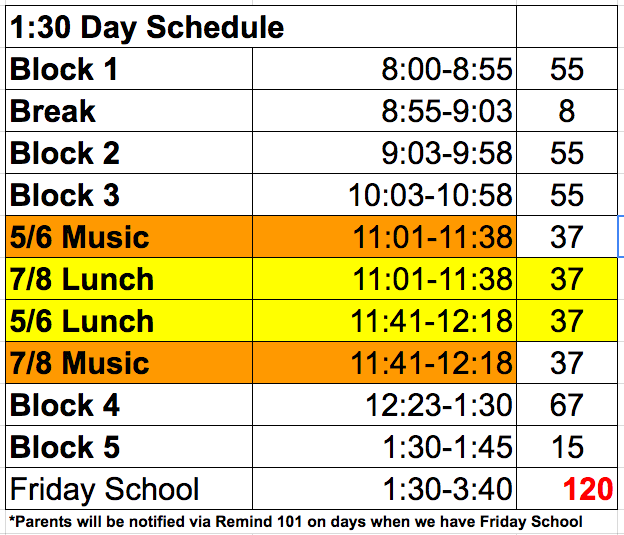 Chadron Middle School will dismiss at 1:30 on August 17th - August 19th. 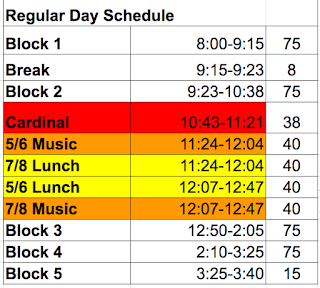 Below are the bell schedules that correspond with the class schedules students received at the Back to School Meetings. 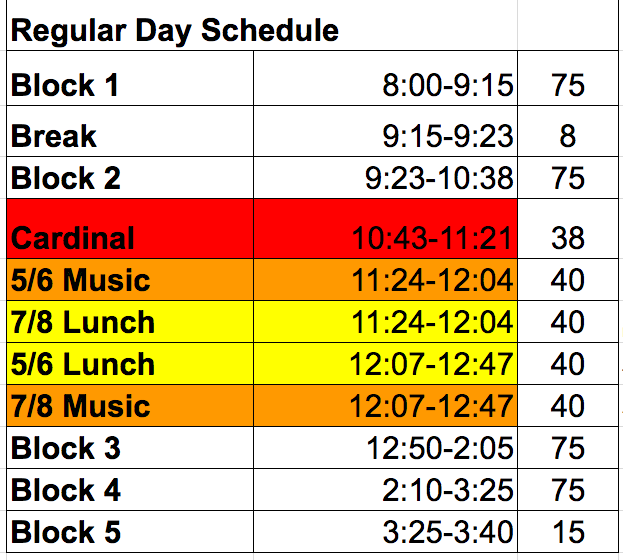 All students will receive another schedule on the first day of school. Parents who would like to take part in the training are encouraged to come to Open House at 6 to see the building and meet their child's teachers before the meeting in the library. The only piece of technology that parents will need is their smartphone. Follow up trainings will be scheduled throughout the year. If you have questions regarding the training, please contact Mr. Dressel. We hope to see you there. Chadron Middle School was awarded a one-year, $10,000 ELO grant from the State of Nebraska. The grant will supplement the existing 21st Century After School Program grant at CMS. The grant award will be used to expand learning opportunities for High Ability Learners in the CMS After School Program as well as provide leadership opportunities for these students who participate in the after school program. A special thank you to Lorna Eliason, Sarah Tayor, and all of our community partners for their work and involvement in the ELO grant. Just a reminder that all 7th and 8th grade students must have a current physical on file at the beginning of the school year. Physicals are good for one calendar year. Physical forms can be picked up in the main office. Also, state law requires that students entering the 7th grade have one dose of the immunization: Tdap (tetanus, diphtheria, and pertussis booster) and copy of the student's updated immunization record be filed with the school. The Dawes County Immunization Clinic is held on the first Tuesday of the month from 2pm-6pm and on the fourth Tuesday of the month from 12pm-4pm. You can contact the clinic at 432-8979 to make an appointment. If you have any questions, please contact the Chadron Middle School Main Office at 432-0708. I hope everyone had a great summer break. Below are a few important dates and links to information for students and parents to be aware of. I've tried to schedule around CHS orientation dates and the Dawes County Fair, so I hope that everyone is able to attend. This year we are only holding one 6th-8th grade parent meeting on August 9th at 5:30 in the CMS Gym. 5th grade orientation will be on August 11th at 5:30 in the CMS gym. A link to changes that were made in the handbook can be found at the bottom of the page along with a link to the school supply list. I'll go over these changes at the parent meeting and at 5th grade orientation. If you are not able attend the meetings, please feel free to call, email, or drop by the office. August 8th - August 17th: Student may bring their school supplies to school and put them away in their lockers. Please note that the office will be open between 8:00 and 3:30 an will be closed for lunch from 12:30-1:00. 6th-8th Grade Parent Meeting - 5:30 in the CMS Gym: Students are welcomed to attend the meeting with their parents and they may bring their school supplies to be put away in their lockers. 5th Grade Orientation - 5:30 in the CMS Gym: Students should attend the meeting their parents and students may bring their school supplies to be put away in their lockers. August 17th - First day of school: Students should report to the playground on the west side of the building no earlier than 7:45. All students will assemble in the gym at 7:55 for our back to school assembly. 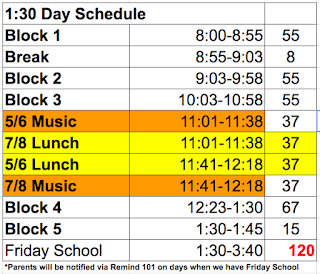 We will run a 1:30 dismissal schedule on August 17th-August19. August 23rd - 6:00-7:00 Open House: Students and parents are invited to join us at our Back to School Open House from 6:30-7:30. There is not a planned agenda for the evening. Students are encouraged to introduce their parents to their teachers and show them around the school.